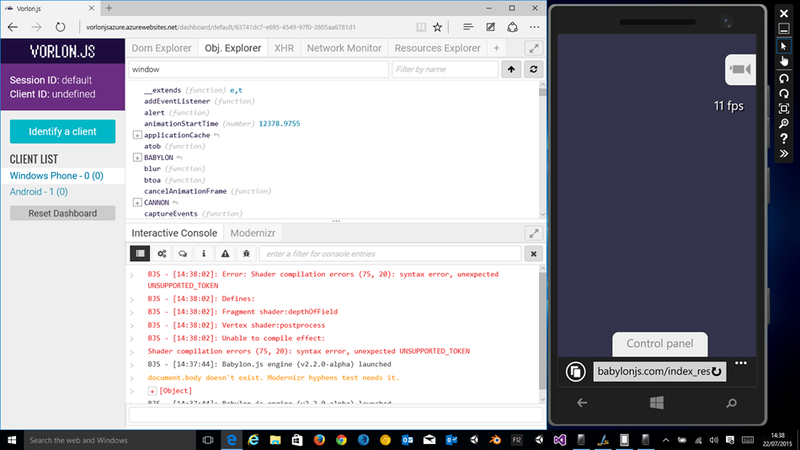 With the recent availability of Visual Studio 2015 RTM came the free Visual Studio Emulator for Android. 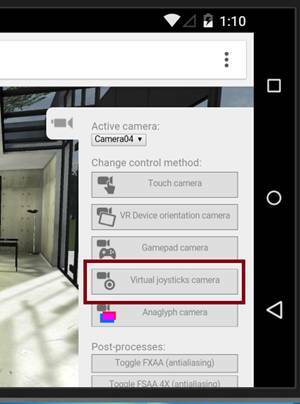 In this article, I’ll show you how to test your WebGL experiences on these very fast Android emulators. 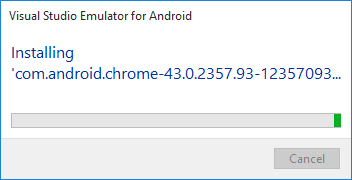 First, download Visual Studio 2015 RTM (such as the free community edition) or install the Android emulators directly without Visual Studio. 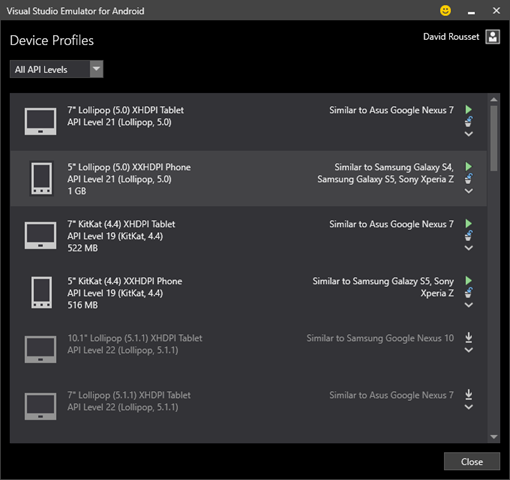 Then, read Introducing Visual Studio’s Emulator for Android, which explains how this cool emulator works and the features supported. Note: I recently published an article describing how to remotely debug and profile the performance of HTML5 websites and apps on Windows Phone. You can now use the same approach to debug Windows Mobile 10 and Mobile Edge with the release of the Windows 10 SDK Tools. Let’s choose “5″ Lollipop (5.0) XXHDPI Phone – Similar to Samsung Galaxy S4” and press play. If it’s the first time you’re launching the emulator, it will configure the Hyper-V network settings for you. 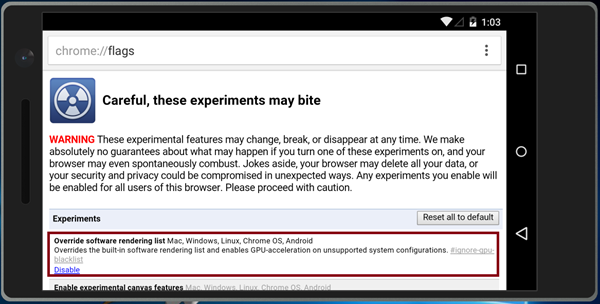 Indeed, the default browser shipped with this Lollipop image doesn’t support WebGL. We need to install Chrome on it. But if you’re navigating again to the same URL with Chrome, you will still have the same error. 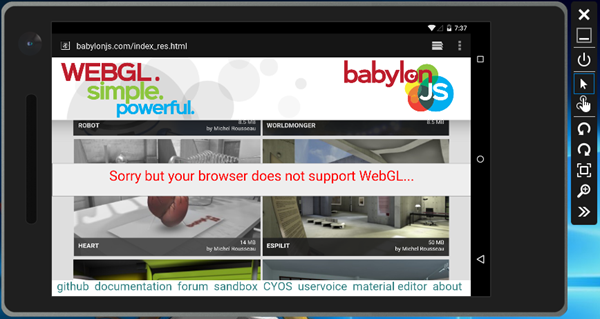 This time, it’s because Chrome hasn’t enabled WebGL as the emulator—it is not part of his whitelist. To force it, navigate to “about:flags” and enable this option: Override software rendering list. 25 fps on my first gen Lenovo X1 using a simple HD4000 GPU on Windows 10! Not bad for an emulator! Obviously, you still need a real device to benchmark performances of your WebGL code. Note: for that, we’re using Pointer Events and our HandJS polyfill to propagate those events to Touch Events as Chrome is not supporting Pointer Events yet. 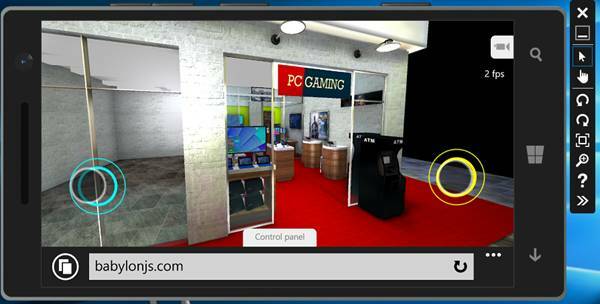 On Windows Phone/Mobile, WebGL is enabled by default in IE11 and Edge. 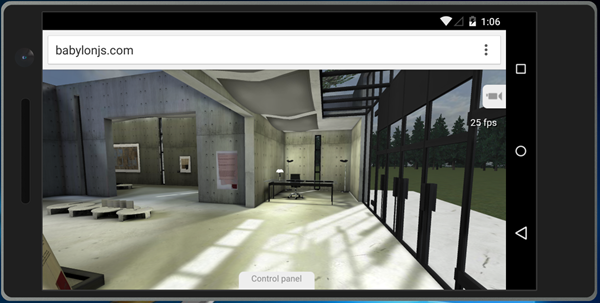 So simply launch the Windows Phone emulator and navigate to your WebGL content. For instance, you see in the Android emulator (on the left) the “Mansion” flexbox item highlighted, its size is currently 172px x 112px. Of course, Flexbox is also supported by IE11 Mobile and this time, the same flexbox item is currently 140px x 91px. We’ve got plenty other plugins that could help you and we’re currently working in adding new one to even go further. 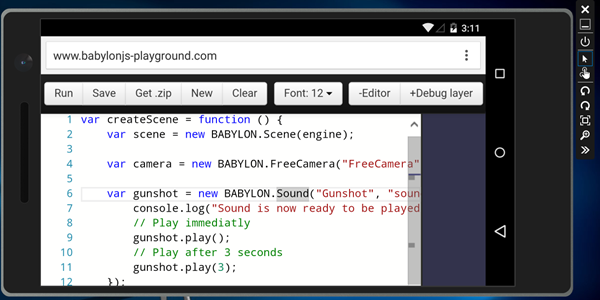 And who knows, we will maybe have one for babylon.js in a near future.